Qassemi made the remarks on Thursday in reaction to Hook’s comments that the US will no longer give waivers on Iran sanctions. “His cheap remarks once again indicated that he lacks a proper understanding of the world’s conditions, and the unstable, shaky, and downgraded position of the US at the international level,” Qassemi noted. 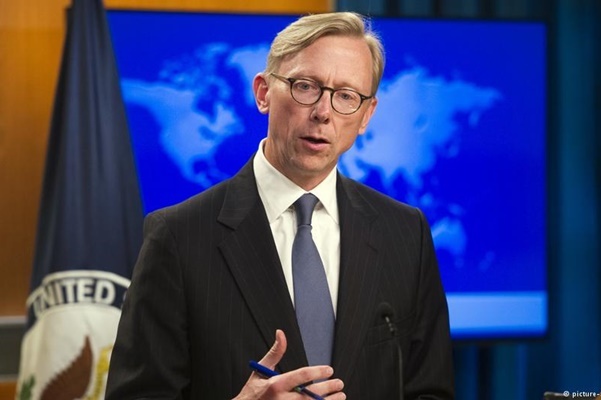 He described Brian Hook as a person who severely suffers from a chronic “Iran abuse syndrome”, as he always makes unwise remarks, and talks of his respective government’s efforts to continue and increase pressures against the great nation of Iran, repeating his malignant anti-Iran sentiments. “Brian Hook should know that the United States of America can no longer achieve all its vicious and anti-human goals in today’s world and (that) the era of dictating excessive demands on other countries is over,” he noted. “This American official must take a look at many of international developments and what’s going on in the world today so as to clearly understand the world and region’s developments are not in line with what he and the current rulers of the White House dream of,” Qassemi went on to say. With such behaviours and remarks, the spokesman said, Mr Hook and the US government must definitely await a court of justice as vast as the entire world, where they will be held accountable before the eyes of all freedom-seeking human beings and those with a clear conscience for all their anti-human crimes and hostile measures and damages they have caused to the Iranian nation. Qassemi’s comments came in reaction to claims by Hook that the Trump administration was not looking to grant any waivers or exemptions to any country for importing the Iranian crude or for other Iran sanctions.